Isn’t it nice to wake up to the bright, sweet citrus-y smell that can make you feel energized all day? It’s the most wonderful smell you can wake up to….really. ..and don’t you just love sugar♥? I am crazy about muscovado sugar at this moment. I put it in…coffee, tea and everything else I could think of. Muscovado Sugar is minimally processed cane sugar that has a coarse and sticky texture. It has high molasses content giving a strong flavor and a dark color. Well, whether it’s true or not, I just thought this might be a good way to jumpstart a diet… I just wished I wasn’t too lazy to segment the grapefruit this morning. It might have been a lot easier to scoop out. Put the halved, segmented grapefruit in a small baking pan. Make sure you put the grapefruit near the source of heat. Oh, I love this! 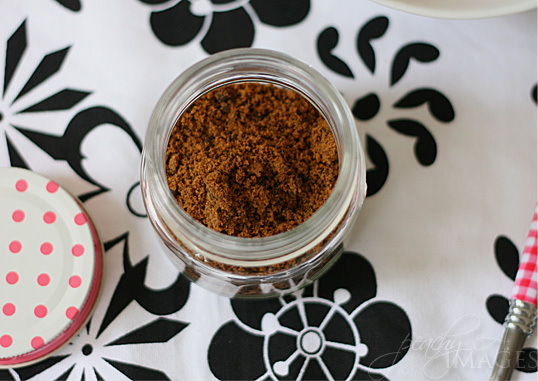 I need to find some muscovado sugar…it’s beautiful. 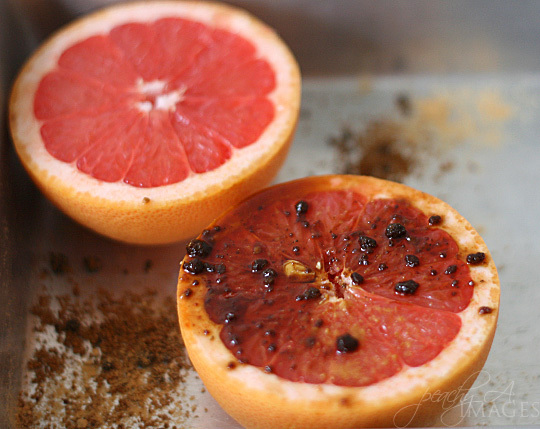 And I really like broiled grapefruit, but have never thought about adding ginger, I love that idea. Yum! What a beautiful and refreshing treat/breakfast. I love the brulee on top, who wouldn’t? hahaha…Thanks for sharing those beautiful pictures. That sounds delicious. I’ll have to try it next winter when grapefruits are back in season here. Island Photography and bring home something beautiful today! oh, now that looks so yummie! 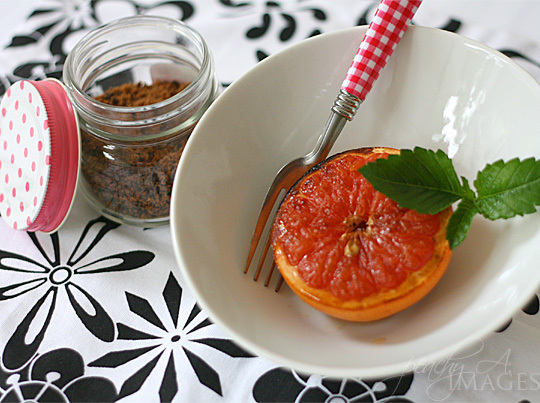 A delicious way of preparing grapefruits! That is something I have never tried. I’ve never broiled a grapefruit but this looks so good. Old friends of ours visited yesterday and what did they bring? Grapefruit that they’d picked at Mum’s house. I’ve got the sugar and the fruit.. today’s the day to try this. Thanks! I would love this and it looks awesome! mmmm….what a differnt way to relish this fruit with a little trick! Liked it!! 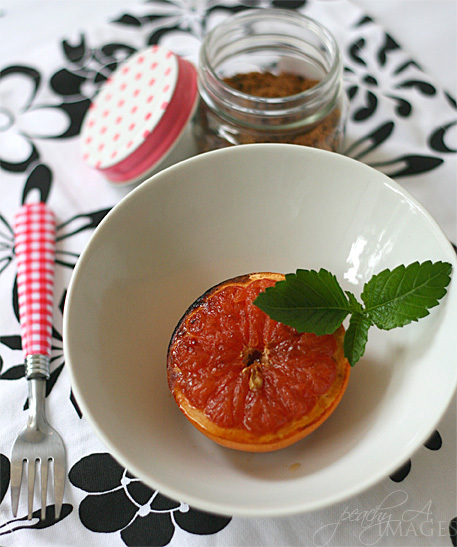 I love the idea of ginger and muscovado sugar on grapefruit. It sounds so delicious, especially broiled as well. I can just imagine how good it smells too! Thank you for sharing this post with the Hearth and Soul blog hop. Oh I’ve never had broiled grapefruit! Looks tasty!